Francie Allen moved to Bellingham from the San Francisco Bay Area and has made a home for herself in the arts community here. She works with motion and the human form, creating figures in motion out of chicken wire. Working with WWU students and other community members, Allen loves collaboration. She dreams of one day turning some of her property in the York neighborhood into a community art center and studio spaces. Her work can be found on her website, www.francieallen.com. Margot Myers, owner of Runaway Press, primarily works in printmaking. 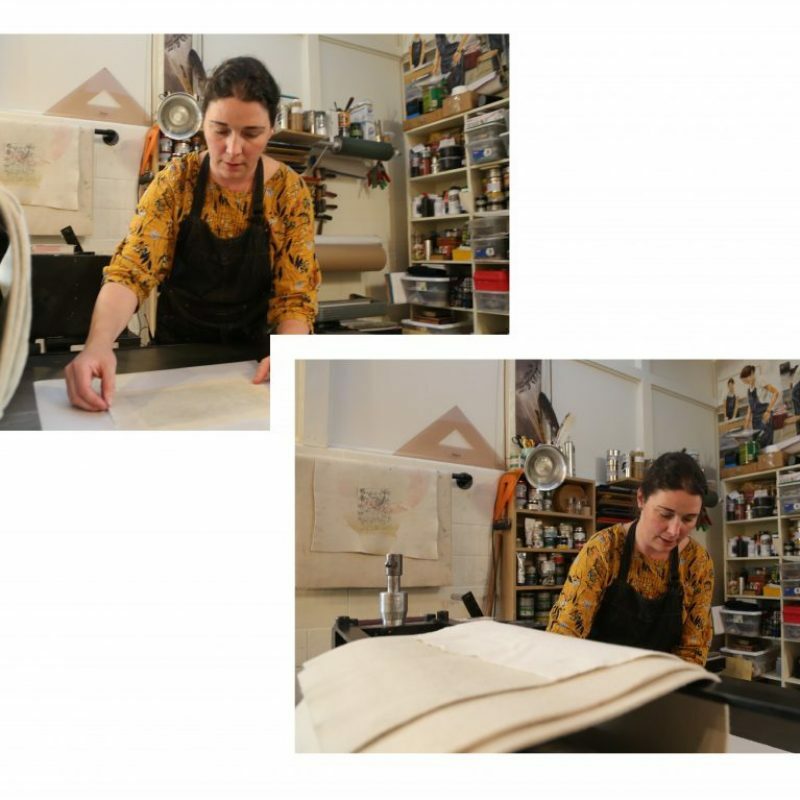 Aside from running her own press studio where she holds workshops and rents the space for other printmakers, she creates installation pieces. Her prints exist in many places, but one of her biggest installations is on an outdoor staircase in Knoxville, TN. 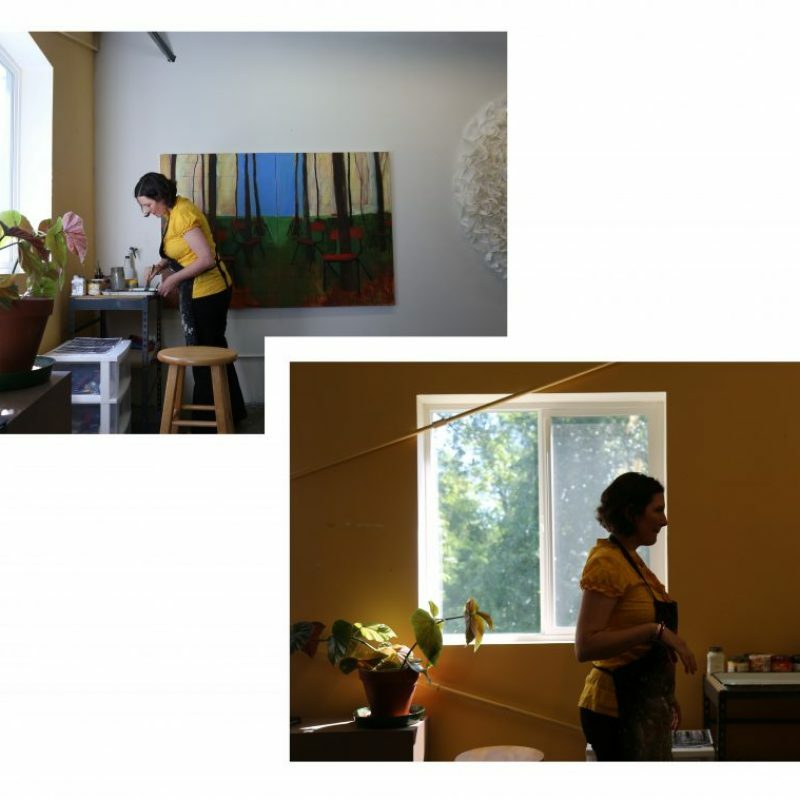 Incorporating her art into the community is important to Myers and her studio space downtown helps her do this. Her work can be found on her website, margotbmyers.com. Christen Mattix creates art to express connections in her life and the world. Her work extends from writing to painting to installation pieces. She often uses repurposed materials such as fabric to create something new. Working with connection, time and place as common themes in her work, Mattix appreciates her artistic process. As she works, the project changes with her. Her work can be found on her website, christenmattix.com.